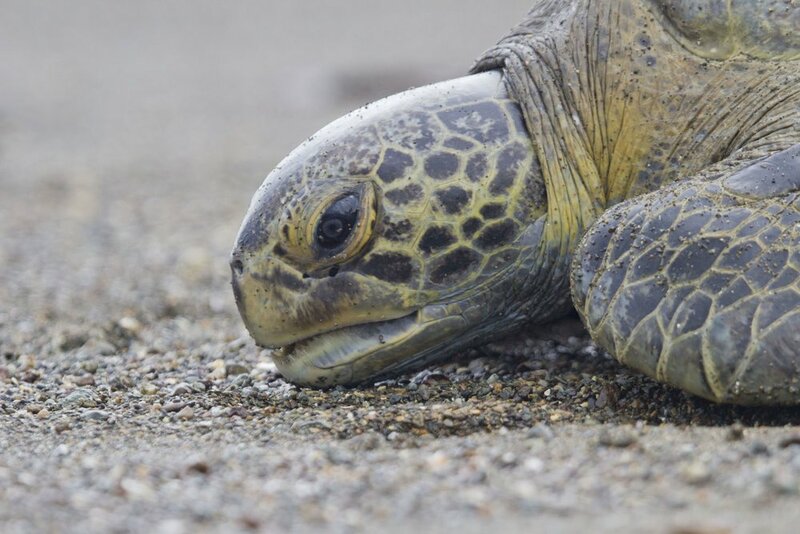 Participate in a green turtle research trip on Costa Rica's incredible Osa Peninsula with SEE Turtles. The southern Pacific region of Costa Rica is a truly spectacular place. The Osa Peninsula is an extraordinary rainforest, with more than 2/3rds under protection and the Gulfo Dulce is one of just three tropical fjords, with dramatic views in every direction. These waters are home to 2 species of sea turtles, plus dolphins, humpback whales, and more. The land and sea are intimately connected here, with deforestation and pollution from land affecting the diverse ocean life. On this unique journey, you will work with researchers to catch and study green and hawksbill sea turtles to study and release. These turtles forage and grow in the gulf and nest elsewhere, so catching these turtles is the only way to study them. You’ll also help restore mangroves that are critical to the growth of fish and sea turtles and visit an organic farm that grows and makes its own chocolate (yum). There will also be free time to explore the area, taking a rainforest hike, renting a kayak, or swimming in the gulf (cost not included). This trip can also be done year round as a private trip for families (8 years and up), and small groups. Profits from this trip will help to save at least 500 hatchlings at a turtle nesting beach per participant. Also available for private groups of 4 or more, contact us for pricing. Price: $1,795 per person. Deposit to register: $300 per person. Includes: Guide, private transportation, accommodations, meals (except where listed), activities, and a donation to turtle conservation. Excludes: Airfare to Costa Rica, personal items, and tips for the guide/driver. Individuals can join the set date above. Group size is limited to 15 people. Itinerary can be customized to meet your group's schedule or preferences. Thank you! We will be in touch soon. Feel free to call the number below with any questions. Call us at 800-215-0378 to register by phone with a credit card. You will be picked up at the San Jose Airport and taken to Hotel Rosa del Paseo in San Jose. Get a good night's sleep to rest up for the fast paced trip. (Dinner not included this first night and can be purchased at the hotel for $10). 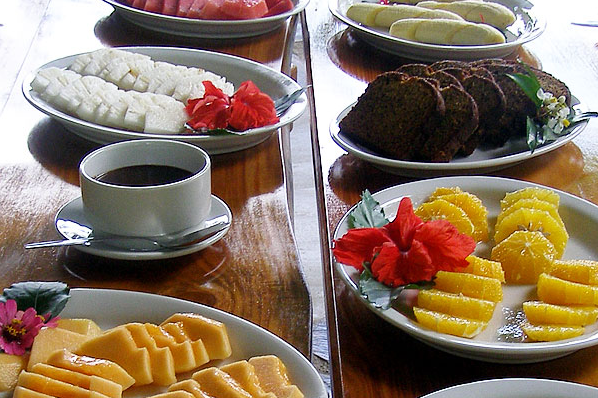 After breakfast, you'll head to the South Pacific coast in a private vehicle (about a 5 hour drive). Along the way, you will stop for lunch and take in the beautiful views. 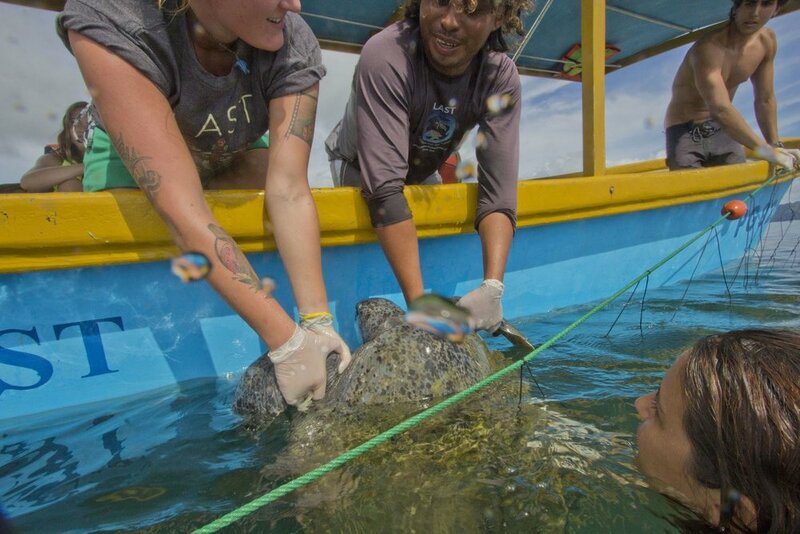 After settling in to your cabins, researchers from our partner Latin American Sea Turtles (LAST) will give an orientation to the turtle research and train you in data collection techniques. This evening, relax and get a good night’s sleep. Overnight at Delfines de Golfo, a simple family lodge with electricity, private bath with hot water, and tv’s. Today is all about sea turtles. Head out in a shaded boat with researchers to help set nets in key turtle spots (timing dependent on the tide). Once caught, researchers will bring them to the beach where you will have the opportunity to help carry in the turtles, measure them, weight them, and perhaps even tag them. You’ll be looking mainly for green turtles and hawksbills, which are both endangered. 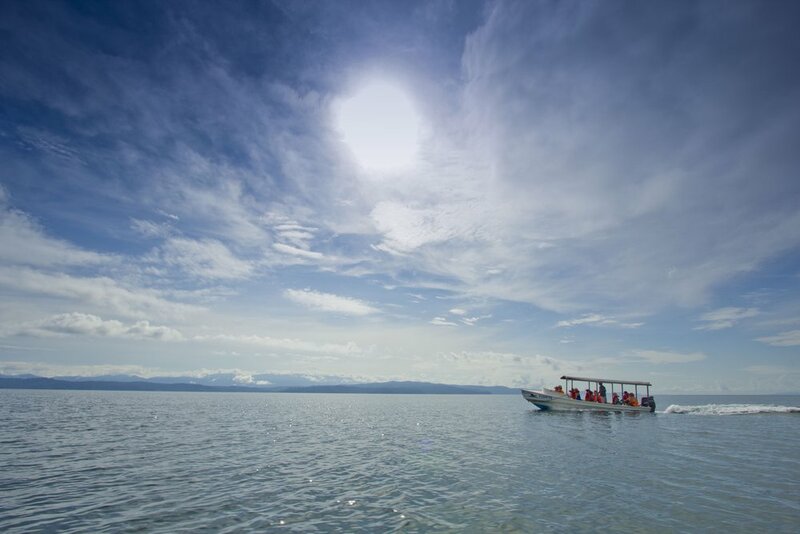 In between turtles, take a swim in the beautiful Golfo Dulce or explore the coastline to look for macaws and sloths. Today, you will be protecting sea turtles by land, by supporting reforestation and organic farming. This morning, you will participate in LAST's mangrove reforestation program by working in the nursery and planting young trees. Mangroves are critical habitat for juvenile sea turtles, fish, and other ocean life and this area has lost much of its mangrove forests over the past few decades (the wood is popular for construction). We will also help in their small turtle rescue center if there are turtles present. The Osa peninsula is very beautiful. We got to do a lot of snorkeling and sightseeing. 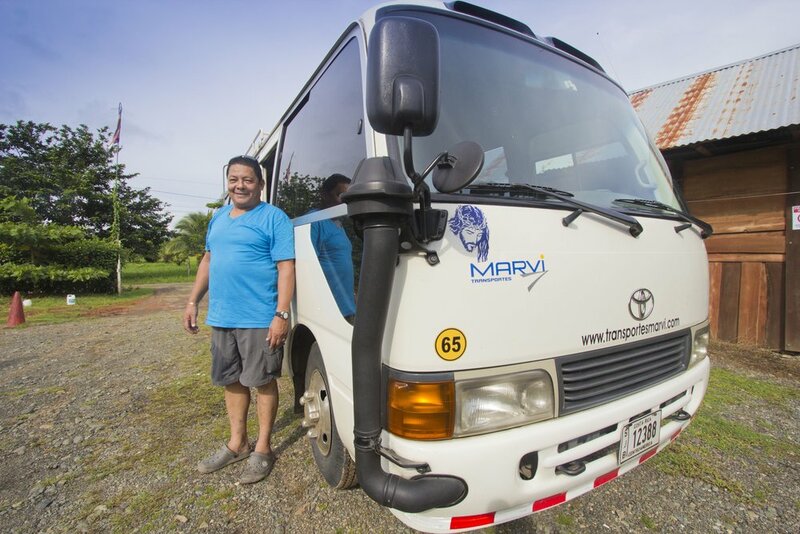 The staff and guides are very helpful and caring and take groups out to experience as much fun as possible. The accommodations were nice and the food was always wonderful. Costa Rica is a safe and beautiful country that receives more than 1 million international tourists annually. This is a fairly an active trip that requires some of physical fitness and an ability to manage sometimes challenging conditions including weather and heat, bugs, and long bus rides. 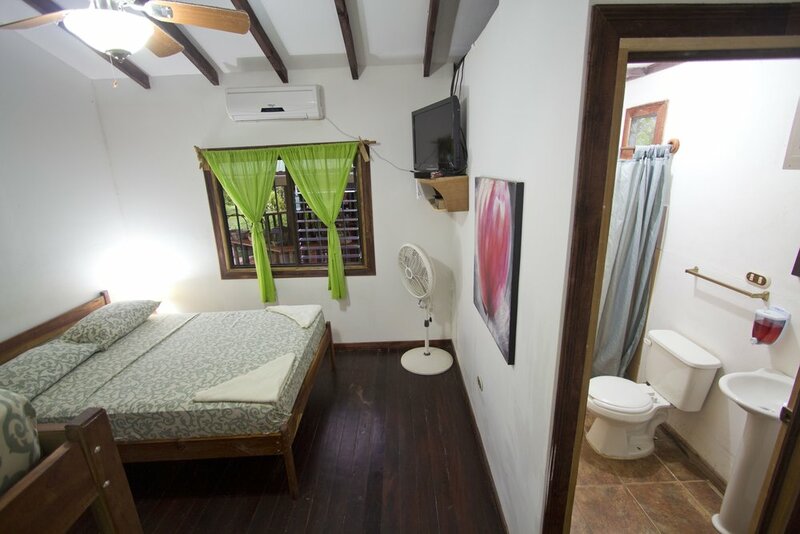 The accommodations are comfortable but plan to spend significant time on boats and on the beach while waiting for turtles to be caught.